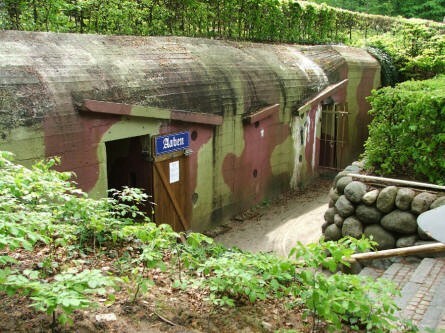 The Bunker Museum in Silkeborg is locate in an old German World War II bunker, which was a part of the German military headquarter (Silkeborg Bad) during the occupation of Denmark from 1940 to 1945. 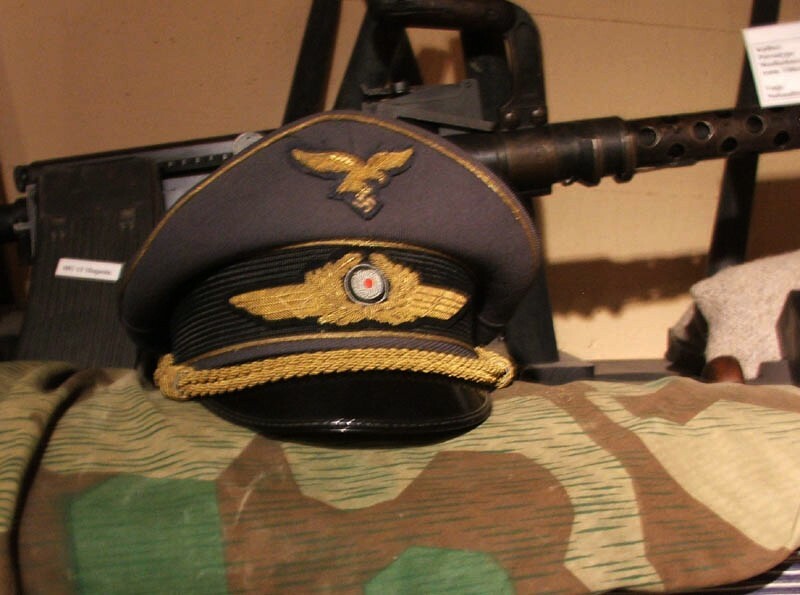 The small museum has a collection of uniforms, weapons and other effects from that period. 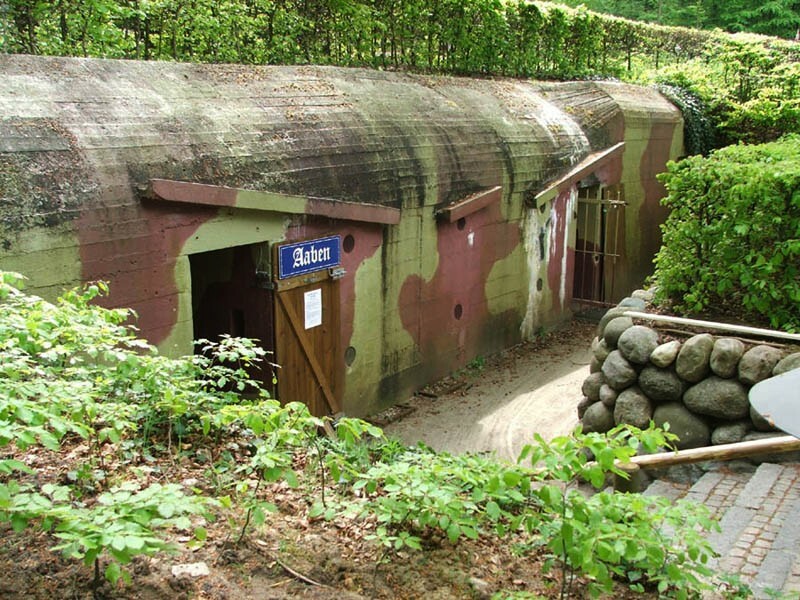 The entrance to the World War II bunker at the Bunker Museum in Silkeborg. 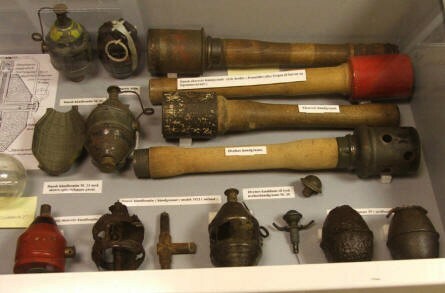 German World War II hand grenades at the Bunker Museum in Silkeborg. Information about the Germans who lived at this World War II Headquarter at the Bunker Museum in Silkeborg. 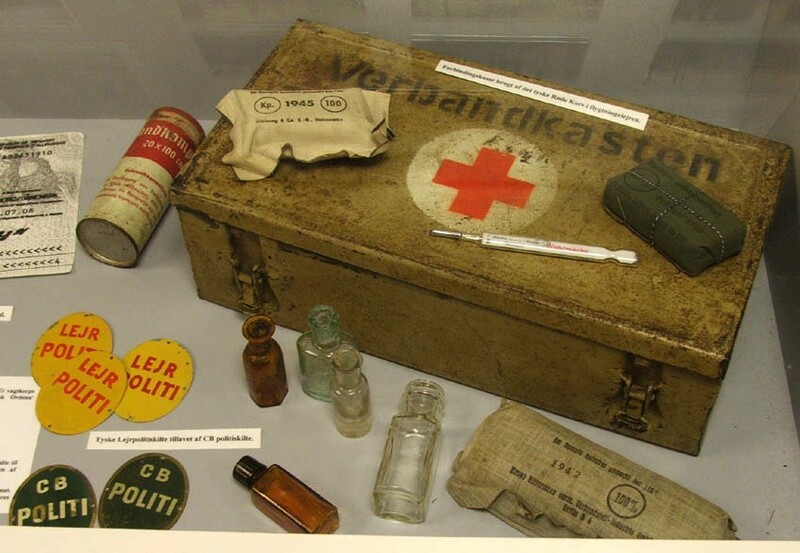 German World War II first aid kit at the Bunker Museum in Silkeborg. 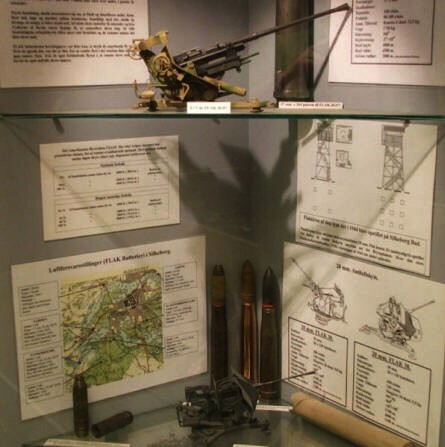 Information about the defence of the German World War II Headquarter at the Bunker Museum in Silkeborg. 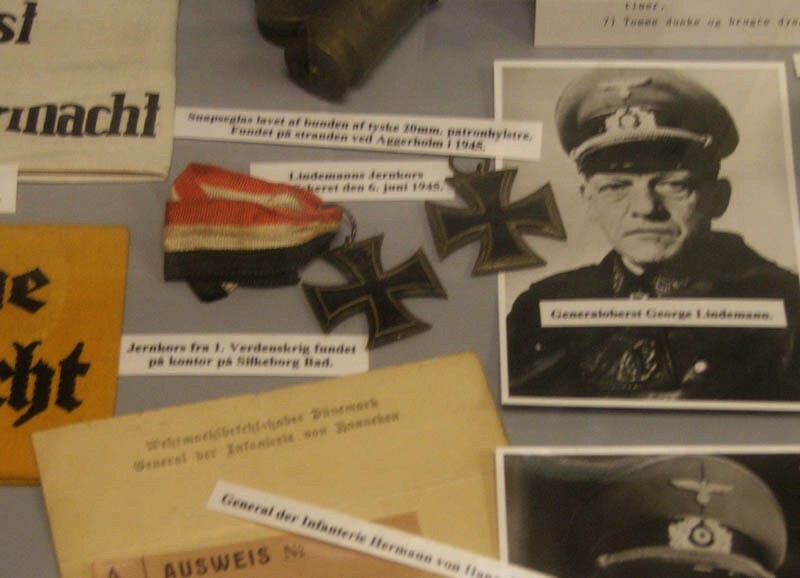 German World War II uniforms and weapons at the Bunker Museum in Silkeborg.